other you own, butyou don't have to spend a small fortune to ensure you're getting the most value for your buck. 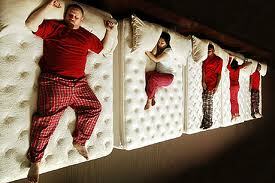 For tips on buying a mattress, click here to visit the Better Sleep Council Canada website. Innerspring: The most widely purchased type of bedding uses the support of tempered steel coils in a variety of configurations. 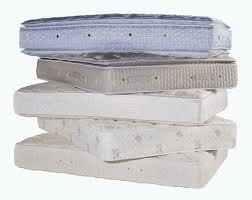 Layers of upholstery provide insulation and cushioning between your body and the spring unit. The result of this basic approach, coupled with state-of-the-art technology, is a full range of comfort choices. Shopping Tips: Comparison shopping can be tricky when it comes to mattresses as you probably won't find the same model in different stores as many companies choose to carry exclusive lines. Click here for "Mattress Guidelines for Sleep Comfort"
Click here for "Choosing the Best Mattress for Lower Back Pain"